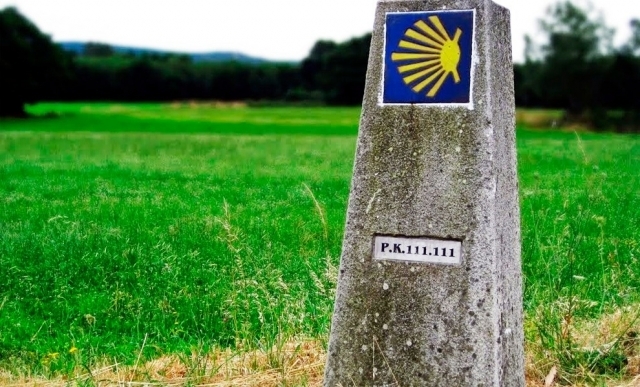 Although sometimes can perceive the Camino de Santiago, -especially the French way- as a single track and almost like a highway of pilgrims in which you just have to walk forward, the truth is that Pilgrim's Way is full of branches that pilgrim sometimes can take to tackle a kilometer or visit significant places. We are talking about the secondary roads, alternatives that pilgrims can take (often without too much information) on almost 30 occasions in the French variant, according to the new signage installed by the Xacobeo. One of the new secondary roads, which is separated from the main road in Melide encore later, was marked this year by drawing an alternative route passing through the town of Penas, without ever recorded Jacobean tradition. However despite the new signposting until recently the authorities had conditioned the way for the transit of pilgrims, so for the past eight months what they found has been an impassable quagmire. So far, the rain even cars were trapped and it was only possible to cross for tractors, but recently the Tourism Agency of Galicia has repaired the alternative stretch to the main road, so now the pilgrims can now take this fork more safely. The installation of cairns for this variant already surprised at the time, since it is stated that the Camino de Santiago never crossed Penas. 30 alternativas, ahí es nada. Ya puedes hacer el Camino todos los años que cada vez se pueden encontrar cosas nuevas!